Caring.com has helped thousands of families find high-quality senior care. To speak with one of our Family Advisors about memory care options and costs in Vernon, call (855) 863-8283. Vernon, Arizona, is a Census-designated place located in the high country adjacent to the Apache-Sitgreaves National Forest. Due to the community's sizable population of older adults, who represent 25 percent of the community's 122 residents, dementia and Alzheimer's disease are important local health issues. According to state estimates, more than 1,200 adults in Apache County will be living with dementia or Alzheimer's by 2020. Although Vernon is a small community, it's home to the only memory care facility in Apache County. In Vernon and all parts of the state, specially licensed assisted living centers and smaller assisted living homes may offer directed care services to dementia patients who require around-the-clock supervision. 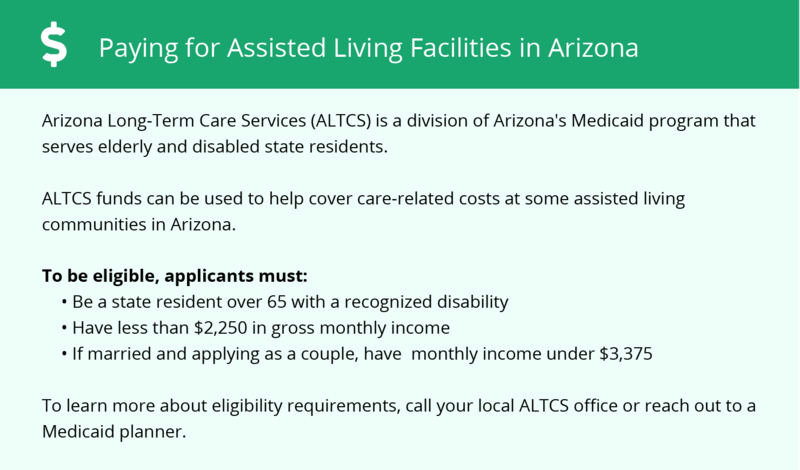 All directed care facilities are regulated by the Arizona Department of Health Services. Located among Arizona's White Mountains, Vernon has an average elevation above 6,900 feet, which affects the local climate. The community receives 60 inches of snow and 275 days of sunshine annually. Additionally, temperatures vary widely. To protect residents, memory care facilities must be prepared for all types of weather. The Vernon area has few facilities from which to choose in the event of a medical emergency or illness. The nearest major hospitals specializing in brain health and dementia care are Summit Healthcare in Show Low and the White Mountain Medical Center in Springerville, both of which are 30 minutes from Vernon. Vernon has a competitive cost of living that's 23 points lower than Arizona's average. Although groceries and health care are almost 10 percent more expensive than the U.S. median, most other essentials, including housing, are more affordable, which can reduce the cost of memory care and similar services. 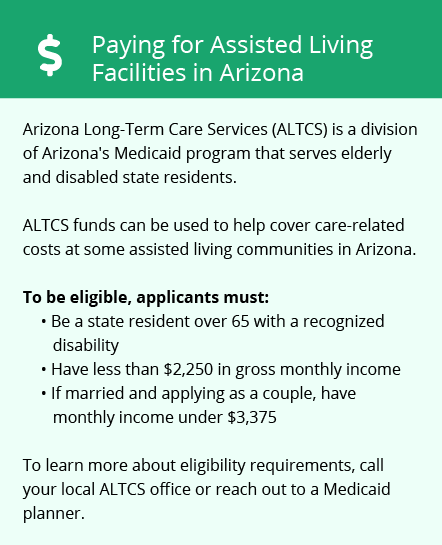 The affordability of memory care is also affected by Arizona's tax rates. The state has a moderately high sales tax on most items, including groceries. However, it never taxes Social Security, and it offers a modest per-person deduction on retirement income. Memory Care costs in Vernon start around $0 per month on average, while the nationwide average cost of memory care is $4,781 per month. It’s important to note that memory care rates in Vernon and the surrounding suburbs can vary widely based on factors such as location, the level of care needed, apartment size and the types of amenities offered at each community. Vernon and the surrounding area are home to numerous government agencies and non-profit organizations offering help for seniors searching for or currently residing in an assisted living community. These organizations can also provide assistance in a number of other eldercare services such as geriatric care management, elder law advice, estate planning, finding home care and health and wellness programs. To see a list of free memory care resources in Vernon, please visit our Assisted Living in Arizona page. Vernon-area assisted living communities must adhere to the comprehensive set of state laws and regulations that all assisted living communities in Arizona are required to follow. Visit our Memory Care in Arizona page for more information about these laws.